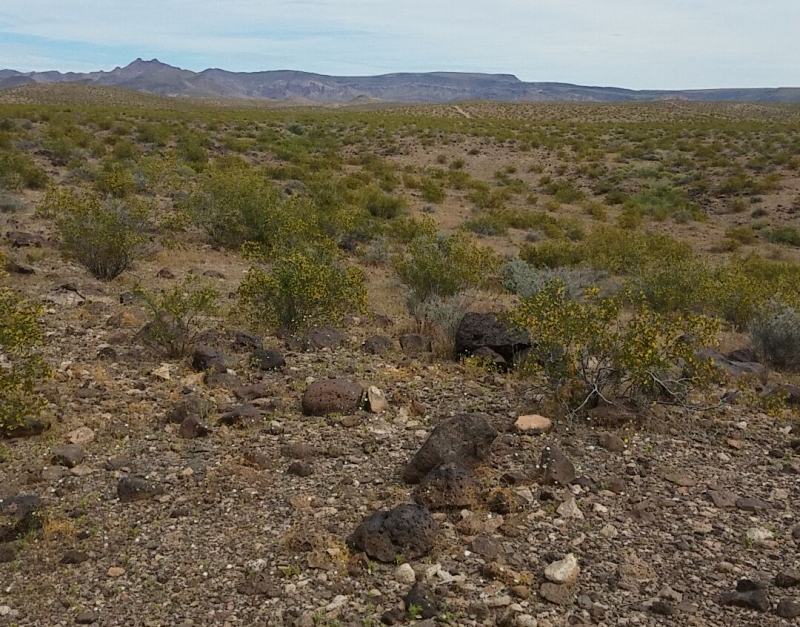 I met up with Mark, Robby, and Bob for a spring-bloom meteorite hunt in the Yucca Dense Collection Area. After a very wet winter the desert was full of life, there were flowers on just about every plant. 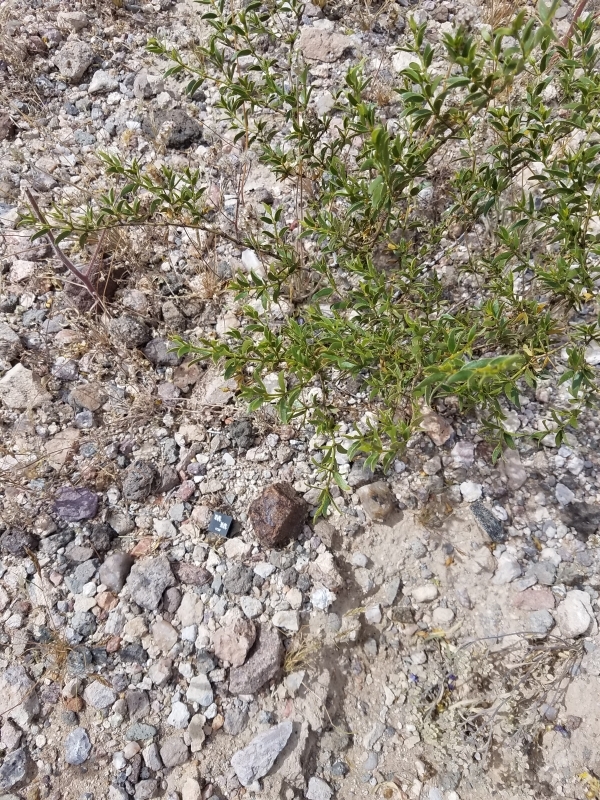 I also saw hundreds of caterpillars, several horny toads, lizards as long as my arm, and one full-grown Mojave Green rattlesnake. There are wild burros in the area, too, and despite seeing their manure everywhere I've still yet to spot one. 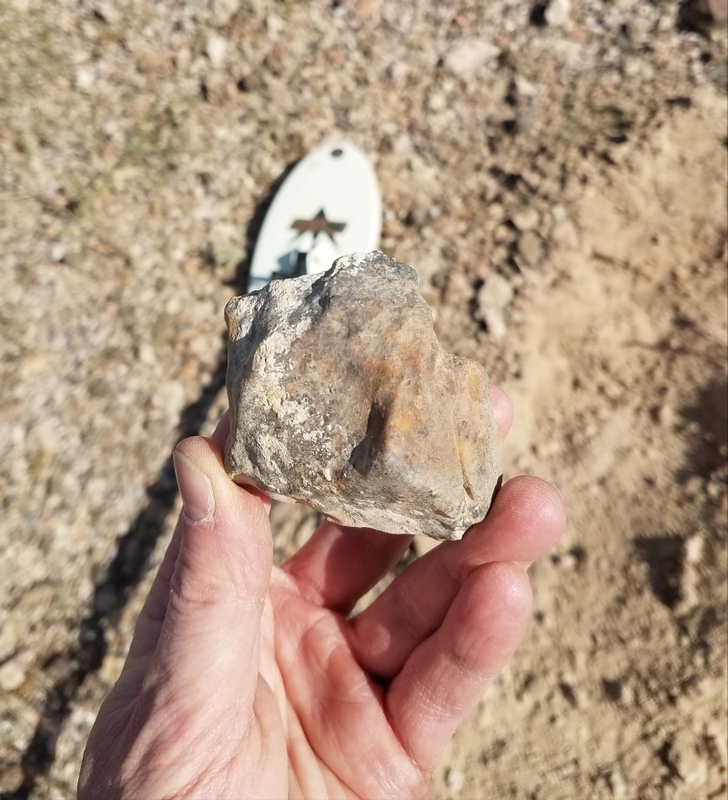 I had selected a spot in the strewn field to hunt, however much to my surprise as I was hiking out into the field I noticed a lonesome meteorite sitting right on the surface underneath a bush. I hadn't even turned my metal detector on yet and I already scored a find. 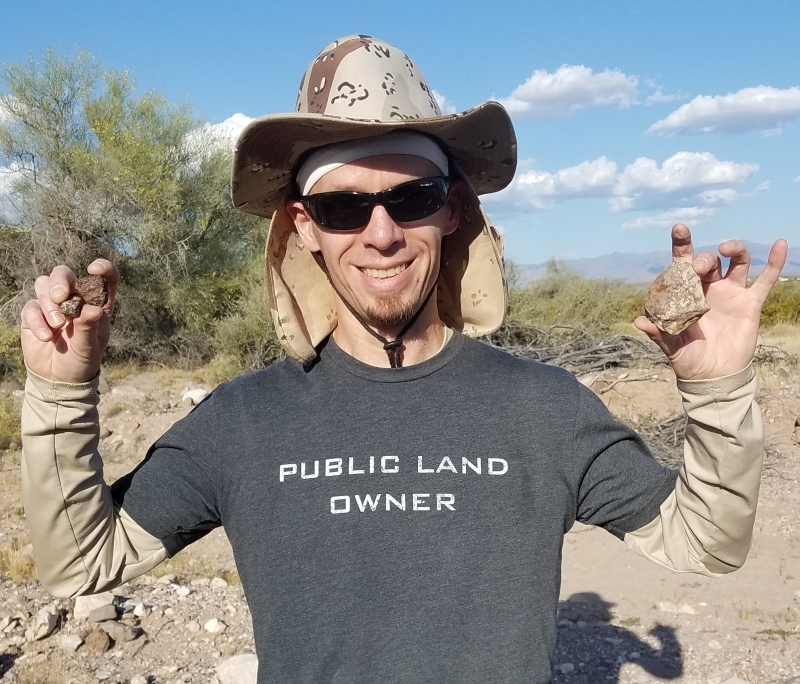 Surface finds out at Franconia are not all that common due to the amount of folks that have hunted almost every square foot of this massive strewn field. This was a good omen, so I decided to spend an hour swinging my detector around the general area. Find #1 weighed in at 45.5g. I wasn't getting many hits on the detector so I shut it off and hiked the remaining distance to my pre-selected hunt area. 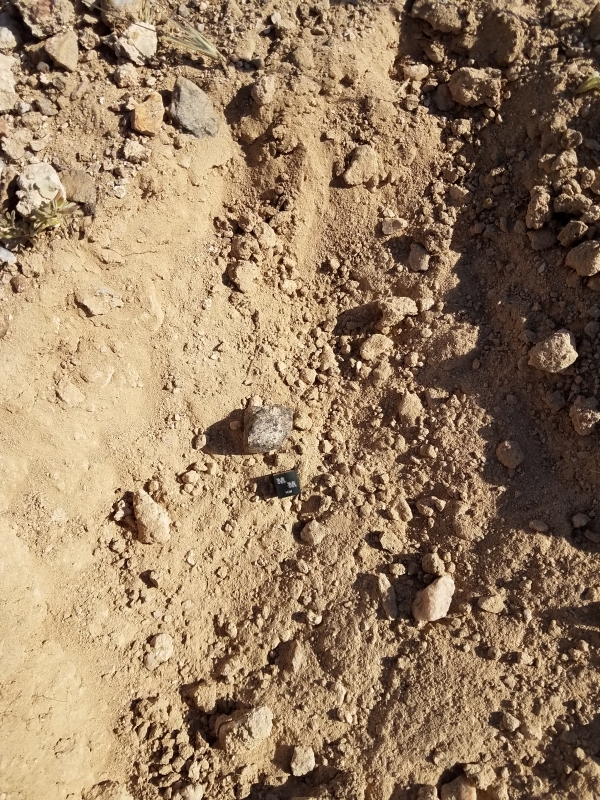 I spent most of the afternoon there but I wasn't digging up anything except a couple .50 caliber bullets, so I ate a quick lunch and hiked back down toward where I had made the first find. Soon I started hitting on hot rocks left and right. I knew these targets would have been dug up by anyone that had swung a detector over them before, and since they were all still buried this told me that this area hadn't been search too thoroughly. One target sounded off loudly in my headphones so I got out my pick and started digging. I got down a few inches and the target was still screaming, so I dug a bigger hole and suddenly the target was gone. I dragged my magnet through the pile of dirt I had excavated and something large stuck to it. I pulled it off the magnet and dusted it off and couldn't believe my eyes! 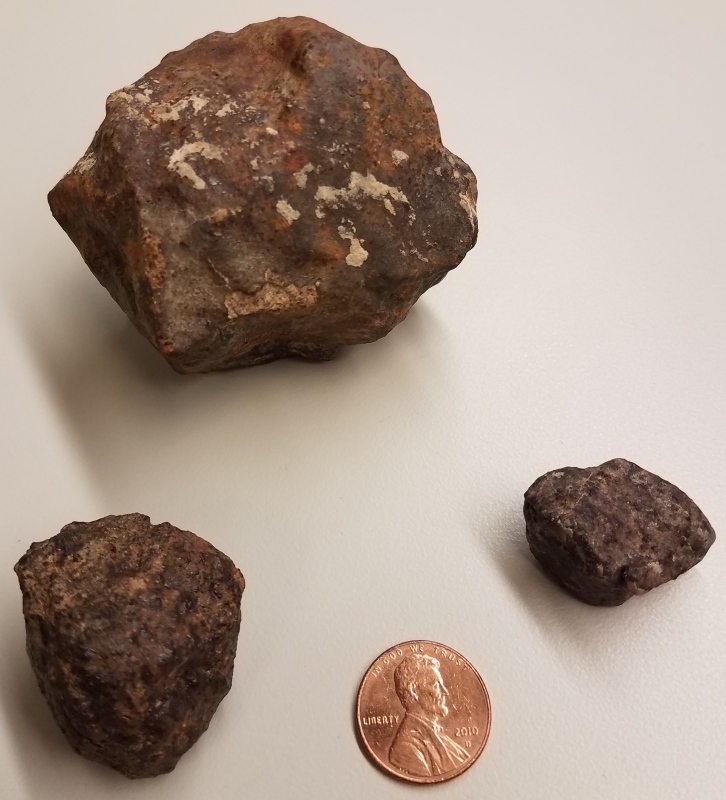 Find #2 was a 278.2g chondrite covered in rusty fusion crust. 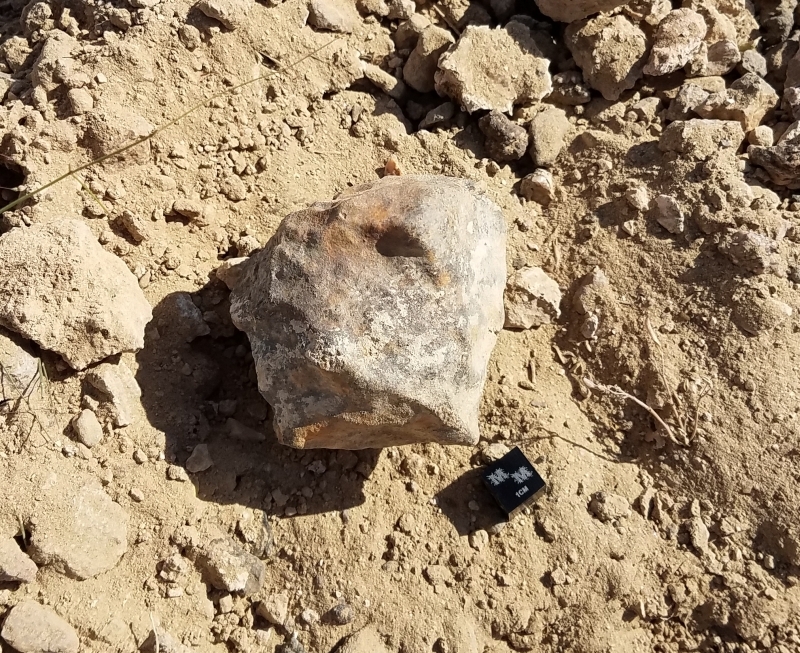 This was the largest meteorite I had found to date. My metal detector and the hole the space rock came out of are visible in the background of the photo below. I put the meteorite down next to the hole with my scale cube for reference. I use a 14" coil on my Fisher Gold Bug II. A close up of the above photo. I was ecstatic. 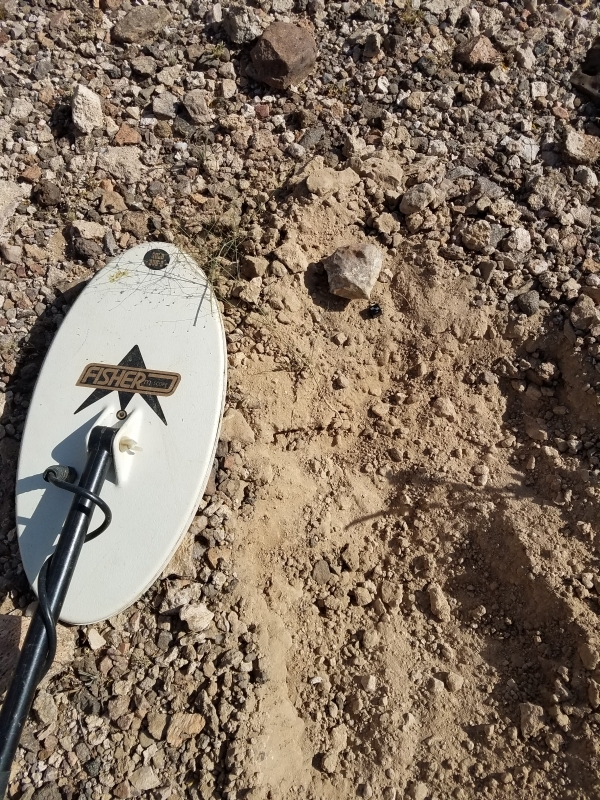 Since Robby and Bob had already left for home and Mark was making his way back to our trucks I decided to leave on a high note, but I kept swinging my detector on the way back just in case. 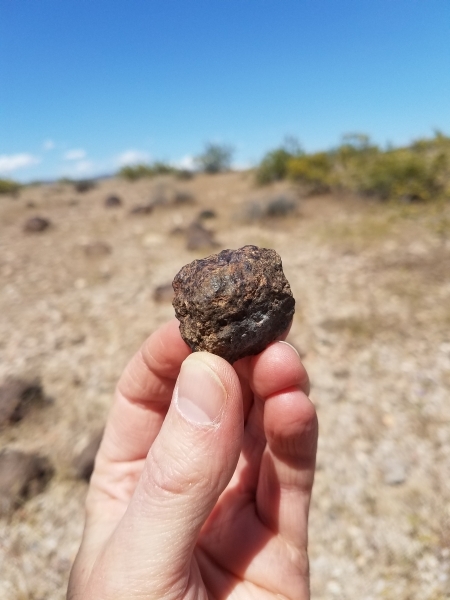 Good thing I did, because a few minutes later I dug up another chondrite, this one was 14.9g. Photo below is the find in the hole it came from. A happy hunter after a successful day!